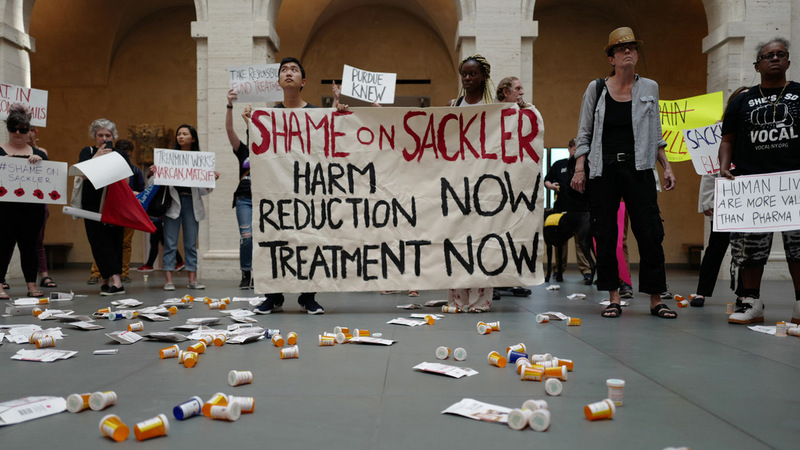 Sackler family protest at Harvard Art Museums in Cambridge, Massachusetts last Friday. 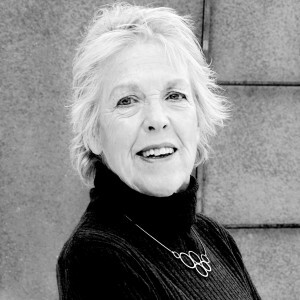 Photo: Tamara Rodriguez Reichberg. We’ve been reading a lot in the past few months about the opioid crisis that had claimed, and continues to claim, many lives, but no so much about the Sackler family, which started Purdue Pharma. Three generations of the family sit or have sat on the board of this giant corporation, which raises, inevitably, the question of an individual’s responsibility for a product that is a poison. As is almost always the case in this situation, members of the Sackler family have donated a portion of their wealth to the Smithsonian, the Guggenheim and Harvard. More interesting, and more unexpected, is Elizabeth Sackler’s gift to the Brooklyn Museum, which produced a wing devoted to Judy Chicago’s Dinner Party (after it had languished in storage for decades) and changing shows of feminist art from all over the world. Can such generosity undo the effects of OxyContin? Can such generosity absolve the members of the Sackler family from responsibility? This is much more difficult to answer. And the situation is not unique. The cliche, “All great fortunes are founded on a crime” is true more often than not. No hard-working man—or, even less likely, woman—becomes a billionaire through nine-to-five travail. It takes a windfall of some sort—marrying a rich woman or, in extreme cases, marrying her and then killing her. This is the dark secret that lies at the heart of the patriarchy. Or creating an addictive drug, or amassing billions off extractive industries, or pilling up a fortune from Nicotine addiction, as is the case with Doris Duke. 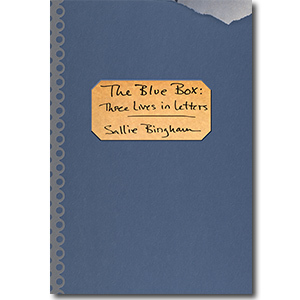 Inheritors seldom summon the courage to address this painful issue, and the public, dazzled by acts of generosity—and, as always, blinded by the glitter of enormous fortunes—seldom demands an account. But times are changing. Massachusetts recently brought a suit against certain Sacklers, accusing them of deceiving the public about the drug’s risks. Not only the creation of the poison but its aggressive marketing is laid at the door of former Pharma President Richard Sackler. A protest in front of the Metropolitan Museum in New York displayed the names of some individual Sacklers. Certainly some of the family made their money in other ways, before the creation of Purdue Pharma. And certainly some of the family are worthy individuals, devoted to supporting the arts. But I doubt if their money can ever be cleansed of this poison.